Human Rights Commission to visit Alex - SABC News - Breaking news, special reports, world, business, sport coverage of all South African current events. Africa's news leader. Residents have a Monday deadline for Eskom to fix their problem or face further protest. The Human Rights Commission says the plight of Alexandra residents shouldn’t be used as an elections tool and want their grievances to be addressed by the government. The Commission will be in Alexandra on Monday to speak to the community about their experiences. Joburg Mayor, Herman Mashaba, is also expected to visit the area. His visit comes at a volatile time for the community who say he’s failed them and is no longer welcome in Alex. 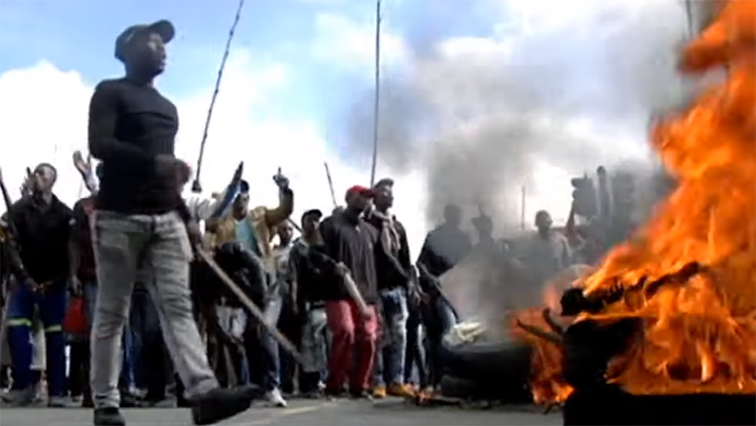 Alex has grabbed the headlines but there’s also been protests over electricity cut-offs in Kagiso in Gauteng. Residents have a Monday deadline for Eskom to fix their problem or face further protests. For over a week now they’ve taken to the streets to voice their unhappiness. The Gauteng Premier, David Makhura, has been in the area and so too has African National Congress (ANC) President Cyril Ramaphosa. The community had summoned Mashaba who has thus far been a no show. His visit to the area on Monday is therefore highly anticipated. Last Thursday, during his time in Alex, Ramaphosa promised residents that his government would attend to their grievances and build 1 million houses over five years and pledged that an inter-governmental team, that will include Mashaba, will be deployed to the area this week. Meanwhile, Eskom says they need to conduct an audit of paying and non paying residents. They’ll assess power boxes and transformers, before reconnecting houses to the grid. Eskom technicians are expected in the area on Monday. The community has threatened to again close off main roads if Eskom reneges on their promise.